Obstructive sleep apnea is a chronic disorder characterised by recurrent episodes of a blockage of the upper airways during sleep which affects between 5% and 14% of adults from 30 to 70 years of age, mainly men. In addition, sleep apnea leads to a reduction of the intake of oxygen (hypoxia) during sleep. In order to counteract this lack of oxygen, the brain reacts by forcing a short awakening known as arousal which reactivates the muscles in the upper airway and allows air to pass through (reoxygenation). These cycles of hypoxia-reoxygenation produce stress to the circulatory system and leads to an increase in the risk of cardiovascular, hypertensive, metabolic, cerebrovascular, or neoplastic diseases, and lastly, a risk of death. At the same time, the arousals prevent a person from having a good night’s rest, produce the feeling of tiredness and an excessive desire to sleep during the day, which is associated with an increase in road accident rates and a decrease in life quality. A standardised approach in the treatment of sleep apnoea exists: the use of continuous positive airway pressure (CPAP) during the night in order to keep the upper airways open which helps the person rest. However, treatment with CPAP shows contradictory results. On the one hand, it has been demonstrated that the use of a CPAP for at least 4h per night increases quality of life and reduces blood pressure among population groups with high blood pressure. In contrast, it has not been demonstrated that the use of CPAP reduces the risk of major cardiovascular events or deaths. Therefore, sleep apnea is a heterogeneous disorder and the use of CPAP is not equally effective with all patients. Which patients can benefit most from the treatment? Should all patients be treated in the same way? We believe it is important to look for patients with sleep apnea profiles that can benefit from a treatment with CPAP. 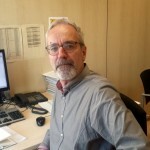 The creation of the PADRIS programme (Public Data Analysis for Health Research and Innovation Programme in Catalonia), whose aim it is to make related health data available to the scientific community to drive research, innovation and assessment in health, has given us the opportunity to be able to analyse all subjects with sleep apnea treated with CPAP in Catalonia. We are talking about 71,217 people, approximately 1% of the general population who were attended by the public health system in Catalonia (primary care, hospital care, social health and/or pharmacy) in the period 2012-2013. To establish these profiles (that is, groups of patients having similarities with each other but at the same time very different from the remainder) the most frequent comorbidities of patients with sleep apnea have been taken into consideration as well as the clinically relevant comorbidities. Six different profiles of patients were identified among patients with sleep apnea and treated with CPAP in Catalonia. 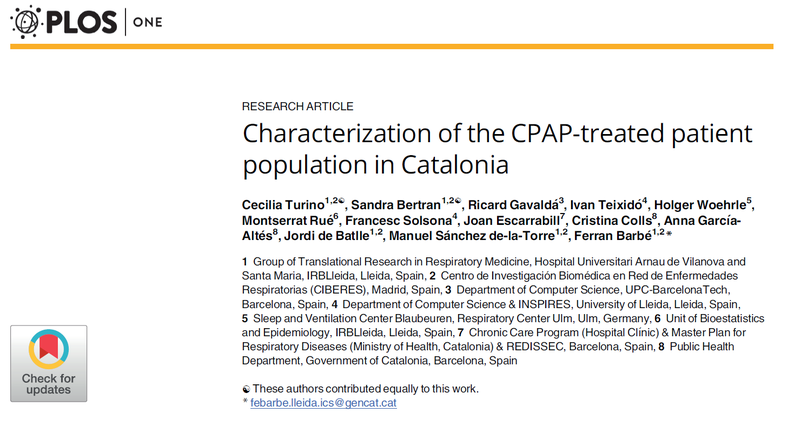 Despite defining these six different patient profiles, we can safely say that the population of Catalonia receiving CPAP is divided into two large basic groups: on the one hand, old age patients, with a high mortality rate and a frequent use of resources, and on the other, patients with fewer comorbidities, a low mortality rate and an infrequent use of resources. You can read it in an article in Plos ONE. Do both groups need to be treated in the same way? It seems not. 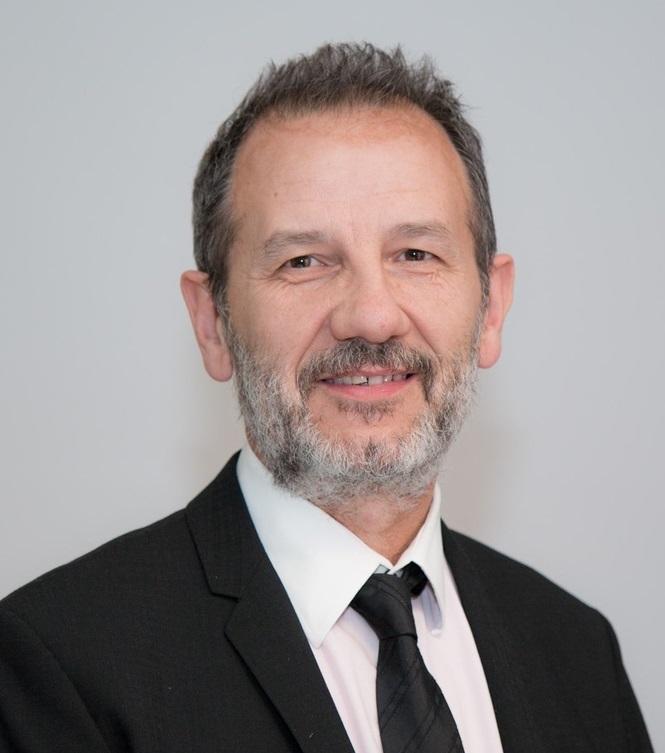 In the group with fewer comorbidities, a low mortality rate and an infrequent use of resources, it seems that sleep apnea is the most important determinant in the prognosis of these patients and there is evidence that this would be the group that could most benefit from treatment with CPAP. In contrast, it seems that in the other group sleep apnoea is at a secondary level, given that the predominant diseases are more serious. 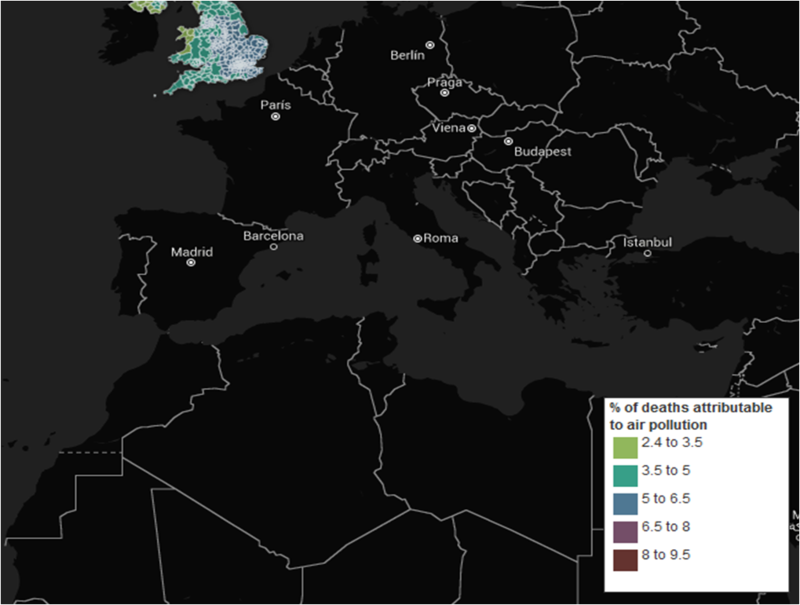 The study has allowed us to assess the association between treatment with CPAP and mortality; that is, whether more people die who are being treated with CPAP or whether more people die having the same comorbidities but without sleep apnea. To be able to achieve this objective, for each patient treated with CPAP we looked for three people with similar characteristics but without sleep apnea. What we observed was surprising, namely that despite presenting a greater number of comorbidities, treatment with CPAP is associated with a decrease in mortality rate at a population level (Am J Crit Care Med 2018). We now need to continue working to find out what occurs in each of the patient profiles. Having access to this volume of data helps us to make an estimate of the groups of patients with sleep apnoea that will benefit more with CPAP treatment and this means that we are getting closer and closer to precision medicine. 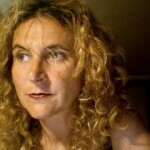 Post written by Ferran Barbé, Hospital Institut de Recerca Biomèdica de Lleida.